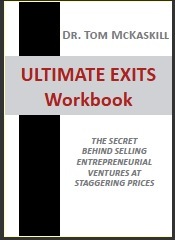 This book provides a detailed examination of the exit preparation process in financial and strategic ventures. Underpinning the creation of value in both of these ventures are the drivers of high growth potential. In the case of a financial venture, the business itself must create the business model to exploit the growth opportunity. A financial business must build an organization which is capable of delivering a robust business to the buyer which enables the buyer to exploit its revenue growth potential. Businesses which create value by developing an asset or capability which could be exploited by a large corporation achieve an exit through a trade sale to a strategic buyer. Strategic value is created through intellectual property or deep expertise which creates a sustainable competitive advantage in the hands of the strategic buyer. It is the strategic buyer who exploits the growth potential through an extensive distribution network. The major recommendation in the book is that entrepreneurs need to prepare the business for sale by focusing on the manner in which the buyer extracts value for it. Understanding how value is created, how buyers perceive risks inn the business and how buyers will exploit its potential are the drivers of a preparation program for selling the business. Business owners, entrepreneurs and investors are locked into an old paradigm about value creation being based on proven profitability. But this is not what acquirers are evaluating. They are looking to the future and assessing what return they will achieve on their investment. Thus it is the future potential of the business which is much more important than its past. As soon as we accept this view, we can be proactive about creating a future which can deliver a much higher value to the buyer than what can be shown from past results. Business which are valued on inherent profitability should focus attention on taking risks out of the business, improving their sustainable profitability, increasing their growth rate and identifying ways in which the buyer can harness new potential. Those businesses which can deliver high growth potential through intellectual property or deep expertise should focus on the strategic value in their business. This type of business can achieve staggering exit values by selling to a large corporation which has the capability and capacity to fully exploit its strategic value.